According to Bhargava, an outspoken entrepreneur and one of the richest Indians in the US with a net worth of $ 4 billion, the new portable device that can generate electricity could be a game changer for villagers in remote parts of India. 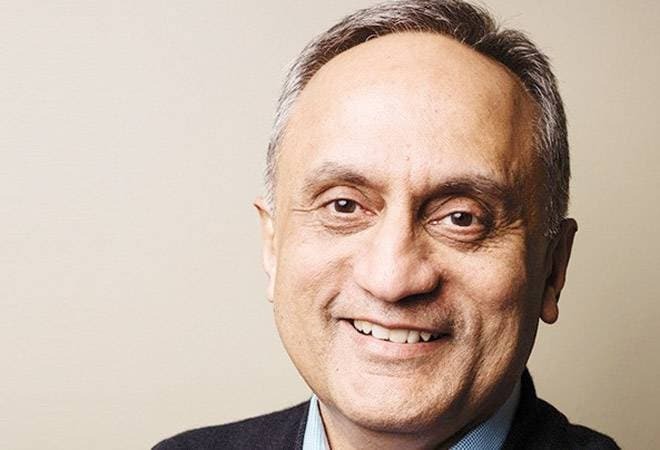 "I don't believe in making excuses, you should not make excuses if you want to do something," said billionaire philanthropist Manoj Bhargava during an event in New Delhi where he unveiled his latest innovation to help rural India. According to Bhargava, an outspoken entrepreneur and one of the richest Indians in the US with a net worth of $ 4 billion, the new portable device that can generate electricity could be a game changer for villagers in remote parts of India. The HANS PowerPack and the HAN Solar Briefcase have been developed after a research of over two years by engineers in production facilities in the US. The solar-energy powered products, which are simple to use and carry, can be recharged by placing them under the sun. The products could be particularly useful in rural households, especially where the natural terrain (such as mountainous areas) create a challenge for regular sources of electricity. It has a USB port and a 12-volt outlet apart from a spotlight and room lighting. The 300-watt instrument can help run electronic items of basic necessities such as bulbs, fan, TV and computer. But why is a man who has been so successful with businesses in the US looking to target India's rural market? Bhargava's remarks suggest he wishes to give something back to the country of his origin. "I am not doing this for profit, I am doing it for the country," Bhargava says with a pause as he explains the pricing policy of the HANS PowerPack. The price of the product is fixed at Rs 14,500, but Bhargava says that the production cost is higher with distribution expenses and taxes adding to the bill. A formula of 'Zero Profit' - where Bhargava makes neither profit nor losses - has been followed for the project. Bhargava is confident that the product can see a massive demand in India which still has millions of people living without electricity, but he is not sure if he will be able to meet the demand. There are no production facilities yet in India, which can make the product cheaper. Bhargava believes it makes sense for him to eventually carry out the production in India, instead of the US, as a cheaper product would suit the budget of rural households. At Rs 14,500 the price is on a higher side for the low-income group. But Bhargava insists it's not as expensive as it seems. With a guarantee of 12 years on the product, consumers can get electricity without paying any bill for a long time. Bhargava is also not ready to compromise on the quality of the product to cut cost. "Just because you are making a product for the poor does not mean you make low-quality stuff," he says. The product has been tested and designed to maximise durability. "During production process, as part of tests, we dropped this on concrete floors to make sure that it was not easily breakable," Bhargava said during the presentation. As for the marketing, Bhargava does not seem particularly interested in selling it through retail stores, instead he could be aiming at clubbing his invention with the Indian central government and state governments' initiatives to electrify Indian homes. In fact, the government of Uttarakhand has already placed an order of 1,00,000 HANS PowerPacks and other states could be lining up. "If we receive an order from the Uttar Pradesh government, we will be busy for the next few years," Bhargava quipped. Bhargava's strategy could be an effective one with Prime Minister Narendra Modi-led government's special focus on electrifying every house in India. According to the Ministry of Power, 43 million households in the nation are still living without electricity. "People may not realize it, but dirty water is the number one cause of sickness and death around the world today. It's the epidemic," says Bhargava. "Our goal is to give people clean water so they can be healthier, more productive, and experience higher quality of life," he says. "Clean water is health." Bhargava also presented details of the Shivansh Fertilizer method which can benefit small-scale Indian farmers. According to him, it's a cost-free alternative to urea made with a process that transforms farm waste into a nutrient-rich fertilizer. "Incorporating Shivansh Fertilizer brings dead soil back to life within one-one-planting season," says Bhargava. "The results are stunning. Farmers are seeing higher yields, they're getting higher quality produce, they're using less pesticide and less water," he added.